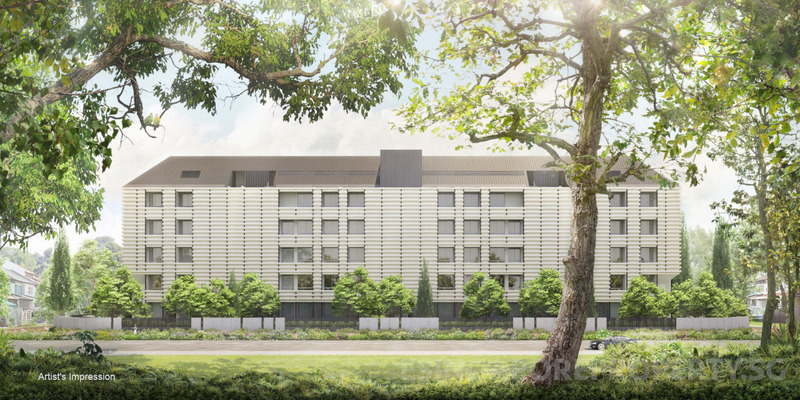 Here we present the MeyerHouse condo, a new freehold luxury development at Meyer Road in District 15 off East Coast Park, that is 6 minutes walk to the future Tanjong Katong MRT station on the Thomson-East Coast Line. 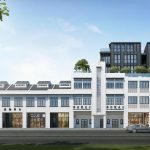 The MeyerHouse condo is being developed by a joint venture of UOL and its related company Kheng Leong, on the site of the former Nanak Mansions. It sits in Meyer Road, long regarded as the top residential road in the Marine Parade / Katong area, one of the best residential districts off the East Coast of Singapore. 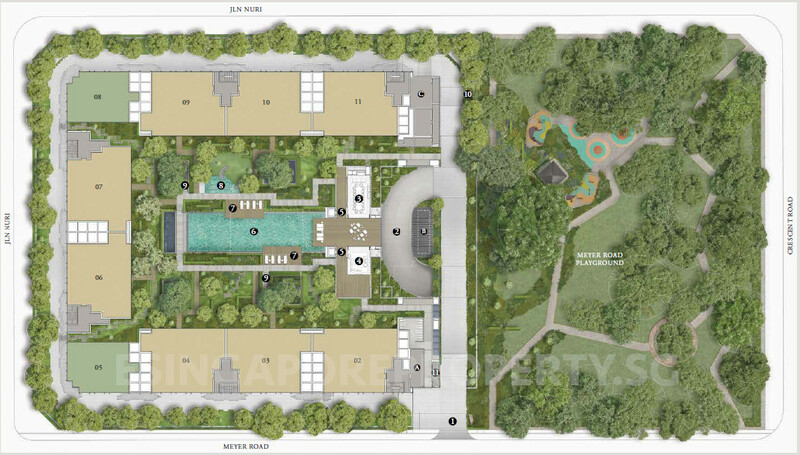 This development seeks to set a new standard for ultra luxury living in the East Coast. It is being designed by WOHA who is well-known for its award-winning architecture, together with Ramboll Studio Dreiseitl and Yabu Pushelberg. 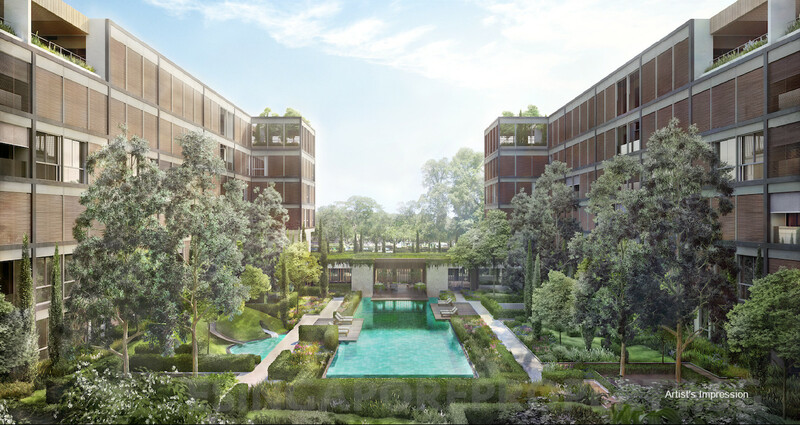 Unit sizes here will be bigger than the norm, ranging from 1,862 to 5,567 sq ft.
MeyerHouse Singapore will be a 5-storey high luxury development flanked by low-rise landed houses and a park, and opposite a stretch of high-rise private condominiums. With an allowable gross floor area of 153,482 sq ft, it could have accommodated up to 203 units. Instead, UOL has chosen to build only 56 units here. Hence it will comprise only large format unit types, mainly 4 bedroom apartments, with some 3 bedders and penthouses. There won’t be any one or 2 bedroom units. So MeyerHouse condo will be a “Nassim Residences of the East”. This makes good business sense. There is a dearth right now of large new quality apartments in the East Coast area, that is sought after by denizens of the place. Most new launches are too small to appeal to people used to living in landed property, and who want an easier-to-maintain flat without sacrificing too much space. MeyerHouse is well positioned to meet that need. Meyer Road is easily the best part of the East Coast. The site is within 400 metres, or 6 minutes walk, of Tanjong Katong MRT station, due to be ready by 2023. It is on freehold land – a diminishing commodity that is a ‘must-have’ for many residents nearby looking to add to their property portfolio, or to retire to a one-level home. UOL has made a name for itself with its Masterpiece Homes – a string of quality homes set in beautiful landscaping and sculptured gardens for which it has won many awards. 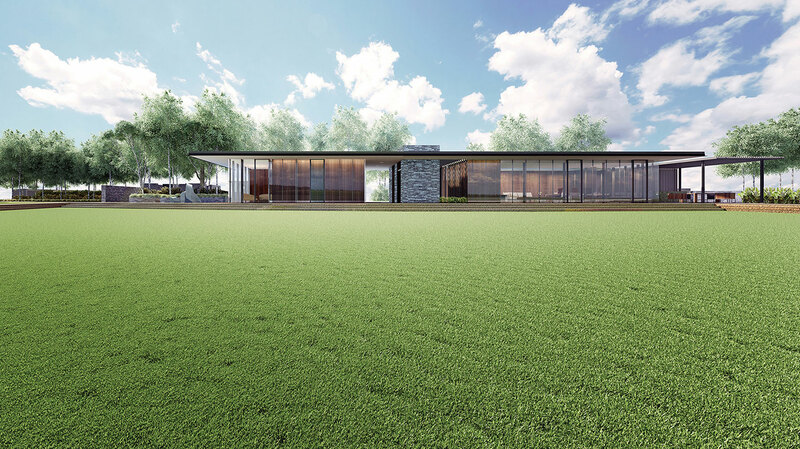 MeyerHouse will be a pearl in that string, meticulously crafted and designed at a luxury level. Its design is inspired by the stately grace and dignity of the chateau form. The three creative minds collaborating on MeyerHouse – WOHA, Yabu Pushelberg and Ramboll Studio Dreiseitl – are each one masters of design in their own fields. They have indeed created something special here. Meyer Road, and the surrounding East Coast has been home to a close-knit community since early colonial days, many of whom are long-time residents. It is easy to see why. 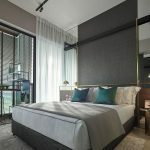 There is the convenience of the location on the city fringe, within 15 minutes drive to both the Marina Bay and Raffles Place Central Business District as well as Changi International Airport. There is East Coast Beach or Park, and the sea within 15 minutes walk. Even where you can’t see it, you can feel the breezes and the tang in the air. But more than that, is its own special ambience. Here we have quiet inner residential areas juxtaposed against a vibrant food scene along main streets lined with heritage shophouses, bustling with small eateries, speciality cafes, bistros and pubs, ice cream creameries and bakeries. District 15 is ranked only just below the prime residential districts of 9, 10 and 11, where homes are concerned. Besides a rich cultural heritage and its foods, it is known for its highly regarded schools like Ngee Ann Primary, Tao Nan, and Tanjong Katong Primary. The MeyerHouse floor plan layouts are pending approval from authorities. Kindly let us know via the Contact Form below if you would like the MeyerHouse condo floor plans to be sent to you once finalised. 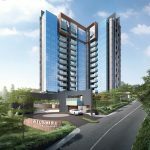 MeyerHouse Singapore will be a low-rise 5-storey high condominium development set within the private residential estate of Meyer Road. This is a regularly shaped, almost squarish site, tilted in a south-south-east / north-north-west direction. It is flanked on its west and north by landed houses, separated from them by Jalan Nuri, a small lane. To the east of the MeyerHouse condo is a small neighbourhood park and children’s playground. This will afford units on this side some open views. Across Meyer Road on the south, are high rise condominiums that line the ECP (East Coast Parkway), beyond which is East Coast Park and the Beach. There is lots of space between these high rise towers, that make for open views, and good wind flow and breezes from the sea. The MeyerHouse showflat is not available for viewing yet. Please let us know via the Contact Form below if you wish to be kept updated when the MeyerHouse condo showflat schedules to open. The MeyerHouse condo prices have not been finalised yet. Please register your interest via the Contact Form if you wish to be kept updated on the indicative pricing. 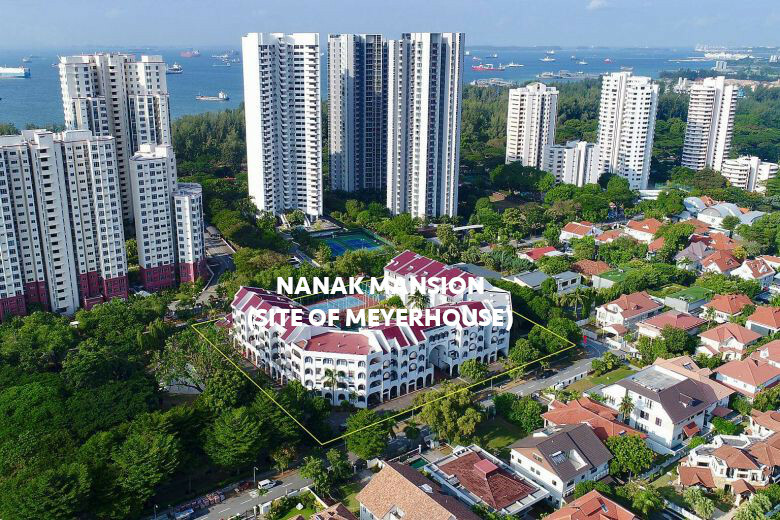 The site of MeyerHouse Singapore is the former Nanak Mansions, that was sold en-bloc to an associate of UOL Group for $201.1 million. All the units at Nanak Mansions belonged to members of the same family and the decision to sell was unanimous, so Strata Titles Board approval was not required. The MeyerHouse site spans an area of 10,185 square metres, with a plot ratio of 1.4 based on the 2014 URA Master Plan. This equates to a maximum gross floor area of 153,482 sq ft. So the purchase price works out to a land rate of $1,429 per sq ft per plot ratio (PSF PPR) after factoring in development charges payable. Based on financing, overheads, construction and development cost of around $650 PSF for an ultra-luxury product, the break even cost to UOL would be close to $2,100 PSF. 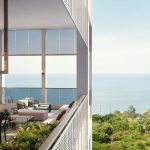 The likely final selling prices can be benchmarked against similar new freehold launches in the vicinity, such as that of Amber45 by the same developer and One Meyer at Meyer Road. Amber45 launched at around $2,400 PSF in early 2018, while One Meyer is priced at about $2,500 PSF. However note that Meyerhouse is in the more exclusive ultra-luxury segment, and could be priced higher. MeyerHouse condo is being developed by UOL Group’s Secure Venture Development (No. 1), a 50:50 joint-venture between UOL Venture Investments Pte Ltd, and related Kheng Leong Co Pte Ltd. 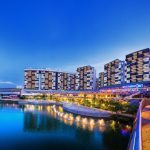 The UOL Group is one of Singapore’s oldest, most reputable real estate players, with a diverse portfolio of investment and development properties. UOL has been established since 1963 and is known for commitment to quality work and design excellence. This commitment is manifested in products that have won several accolades. Such as the FIABCI Prix d’Excellence Award, the Aga Khan Award for Architecture, the Urban Land Institute Awards for Excellence, Singapore’s President’s Design Award, and the Best Developer Award in Singapore, and for South East Asia in 2012. The Group’s portfolio spans residences, to offices, hotels, spas, retail malls, and restaurants. UOL owns and/or manages over 30 hotels, resorts, and serviced suites across Oceania, Asia, and North America. Amongst the many residential developments they have built are Nassim Park Residences, One Amber, Principal Garden, Duchess Residences, One North Residences, Newton Suites, Terrene @ Bukit Timah, Meadows @ Pierce, and Waterbank @ Dakota. 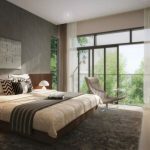 Kheng Leong started in 1949 as an international trading and commodity company, but has since evolved into an investment group involved in real estate investment and property development. In the process, Kheng Leong has built a reputation for developing quality homes. Today, the Group handles a portfolio of development projects and businesses locally and internationally. These include collaborations and direct investments across the Asia Pacific, from Singapore to Shanghai and Hong Kong, and key cities such as Los Angeles, London and Sydney. 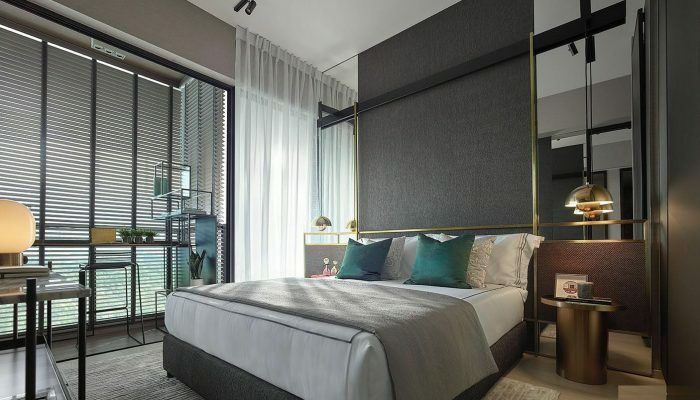 Local projects developed by Kheng Leong, some in conjunction with UOL, include Nassim Park Residences, Principal Garden, One North Residences, Domain 21, Tudor Ten, The Ansley, 72 Grange Road, The Minton, Sutton Place, and The Woods cluster houses. Location. 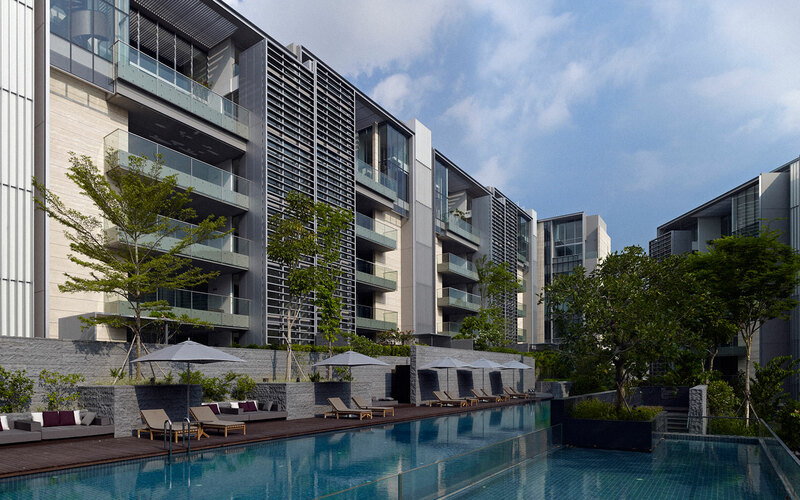 The MeyerHouse condo location is at 98 to 128 Meyer Road, in the heart of the East Coast / Katong area. This estate has always ranked as one of the top private residential precincts in Singapore, only slightly below the prime districts of the Orchard Road, Holland Road, River Valley and Bukit Timah areas. 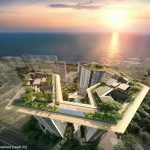 It will be one of the stretch of private condominiums off the East Coast Parkway (ECP) and opposite the East Coast Beach and Park. The MeyerHouse condo however is set further in and does not directly front the ECP, so won’t be affected by the hum of traffic along the expressway. F&B, Shops, Supermarkets, Banks. Parkway Parade is the ‘go-to’ place for the shopping, dining and banking needs of the East Coast community. Of course for dining, both casual hawker fare, and cosmopolitan, or eclectic, there is a wealth of options lining the streets and lanes and nooks of Katong and Marine Parade, and further afield to Siglap and Joo Chiat. But Parkway Parade is where you can get everything in almost one spot. It boasts a wide variety of shops, 2 big supermarkets, department store, a cinema, a food court, fast food outlets and cafes, and branches of almost every retail bank in Singapore. While it is not within walking distance, it will be linked to the upcoming Marine Parade MRT station, one stop from Tanjong Katong station that is 6 minutes walk from the MeyerHouse location. Schools & Educational Institutions. Primary schools in the vicinity within a 2 km radius include Tanjong Katong Primary, Haig Girls’, and Kong Hwa Primary. Other educational institutes in the vicinity are the Chatsworth International School (East Campus), Canadian International School (Tanjong Katong Campus), Dunman High, and Chung Cheng High School. Recreation & Sports. One particular draw of the East Coast area is that it is within walking distance to East Coast beach. With it we also have East Coast Park, East Coast Lagoon, and Xtreme Skate Park. As well as the park connector and cycling path that links all the way to Kallang, and on to Marina Bay and Gardens by the Bay. Nearest MRT Station. 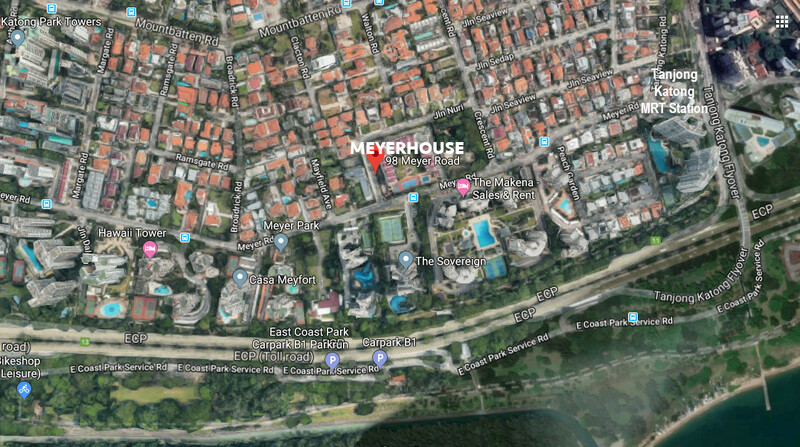 The MeyerHouse location is about 400m, or 6 minutes walk, to the future Tanjong Katong MRT station on the Thomson East Coast Line (TEL), that is scheduled for opening in 2023. Accessibility. One major reason for the popularity of the East Coast is its accessibility. 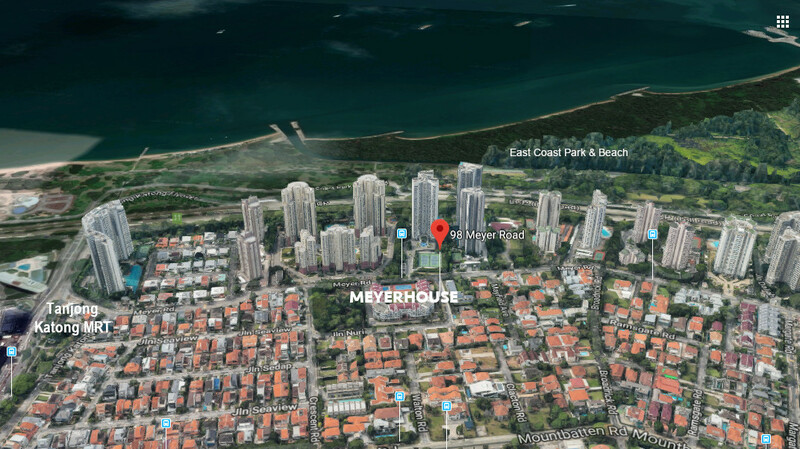 The MeyerHouse condo location is around 2 minutes drive to the ECP, and from there it takes another minute or so to get to the KPE (Kallang Paya Lebar Expressway) and MCE (Marina Coastal Expressway). The Raffles Place and Marina Bay Financial Districts are quickly accessible too – less than 10 minutes drive off-peak. In the other direction, it takes around 15 to 20 minutes to Changi Airport.